Your wedding gown is special for you. It is one thing that you will wear only once, and the memories will last you a lifetime. You need it to be perfect, it's a tough thing because you have other engagements in hand other than choosing the right attire. It is one task, you cannot delegate to others as you will be the best judge of what suits you the best. • While looking for a dress, you might zero down on a pick in a single go but do not buy on impulse. Try it out once, and you may find the gown does not suit you that well. • Every body type has a separate set of bridal dress. A gown may look precious, but it might not suit your body type. The primary focus in this case is to accentuate the best in you. It can be done with the right selection of cloth type. These robes come in silk, satin and various other fabrics. • Once you select the fabric, the next thing shall be style choice. 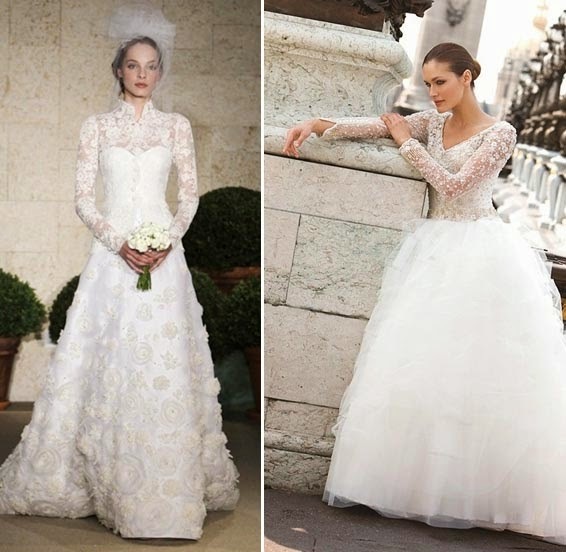 If you are slender, you may choose a bridal dress that fits your frame and doesn't make you appear too slim. • In case you are plus sized then choose a gown that fits you well as an oversized robe can give the illusion of some extra pounds. Understand your body type before you pick your dream dress. • Once you acknowledge what you are like it will be easy to find a dress that fits you in perfection. In case you are stuck in the selection at the last moment, you can always consult the people who understand it best. • One common mistake is that people tryout the gown just once. You may gain and lose some weight between the purchase and the actual event due to high-stress and many other factors. This thing is nothing uncommon and embarrassing. • Try out your wedding dress three to four days before your wedding and any amends that are needed to be done can be done in the meanwhile. Do not try it the evening before the marriage as you may not have time for the repairs, so it is better to keep some time in hand. Before you go for a hunt make sure that you have a clear idea of what you want. You can note down the details on a paper if you like. Ensure that you look like a dream on the wedding day.